Win it! 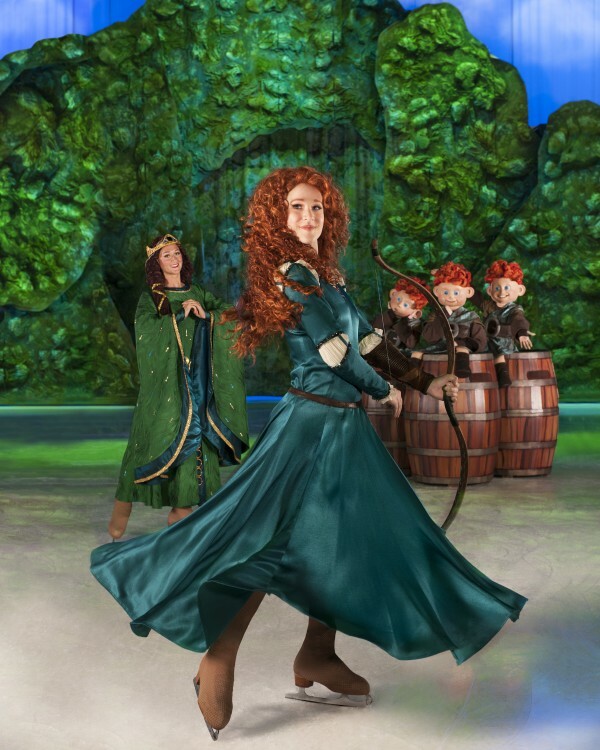 Coupon code and discount for Disney on Ice Rockin’ Ever After below. We’re so excited to giving away 4 tickets to Disney on Ice Rockin Ever After from Disneyed.com. These tickets are for the Philadelphia show and are to be used between Dec. 27th – Jan. 6th. Hooray! This show we are giving away tickets for will be at the Wells Fargo Center. Looking to buy tickets to what is sure to be a magical and fantastic show? Here’s a discount coupon code If you need a coupon code and want to purchase then Click and use password “MOM” for $15 tickets! The kids and I have covered Disney on Ice before for ClassyMommy and it was incredible. A perfect holiday family adventure that will delight the youngest guests and entertain Mom and Dad with the excellent catchy Disney tunes and expected Disney fanfare. Enter to win by December 8th, 2012. 1 winner – eligibility for US resident addresses only for 4 ticket package. NOTE: The show is in Philadelphia so you’ll need to live in the region or be able to drive to attend our show at the Wells Fargo Center in Philadelphia. Tickets will be for a date of your choice between 12/27/12 and 1/6/13. Certain restrictions will apply. 1. Please leave a comment below by December 8th, 2012. 2. Follow @GetDisneyed on Twitter and let me know you followed. I’m hoping to win a the Disney on Ice Tickets from @GetDisneyed. 6. Follow Classy Mommy & Disneyed Colleen Padilla on her YouTube Channel here. Leave a comment letting me know you followed me on YouTube. 7. Follow Classy Mommy &Disneyed Colleen Padilla on her Instagram page here. Leave a comment letting me know you following me on Instagram. Here’s an image with Merida who will be in the new show. My kids will LOVE seeing her and the Triplets in action on ice. How fun! Disclosure: Thanks to Feld Entertainment and the Wells Fargo Center for providing us tickets to see the opening night of this show when it hits Philadelphia and for providing us tickets to host a giveaway. As always, all thoughts and opinions are our own. This would be my kids’ first Disney on Ice show! Thanks for the great giveaway! I follow you on Facebook! I live in South Jersey with my 7 year old little girl and husband. You always have all the best info on Disney and everything! I look forward to your posts! I would love to win these tickets! We are huge Disney fans! In fact we are heading on the 7 night Disney Fantasy cruise on Dec. 8th! LOVE IT !!!!! Would love to take the kids …………..
Cant wait for someone lucky to win tickets to Disney on Ice. My girls love Disney on Ice and would love to go this year! I follow @getdisneyed on twitter via vwprncss! I follow you on Facebook. Would love to take my kids over the Christmas break. I was really hoping to get tickets for my daughter this year but didn’t work. Would LOVE to win these. This would be a great treat for my family…thanks for the chance to win! We bought brave on blu ray the other day… The movie was great!! Following you on both classymommy and getdisneyed. tweeted. I’m hoping to win a the Disney on Ice Tickets from @GetDisneyed. following your YouTube Channel. awesome stuff. My simple comment entry – we’d love to win this! I’d love to take my big kids to this as a special date night! Any show that disney puts on is fantastic! What a fun giveaway! My girls would love it if we win! Disney on Ice is the next best thing to being in Disney World!! This would be a great warm up for our 1st Disney trip in February! Thanks for the chance to win. How fun does this sound? amazing! My girls and husband went last year and loved it. I would love to go with them this year! Thanks so much for this fantastic opportunity!! Following you & @GetDisneyed This would be so awesome, Thank you for such a great opportunity!! Would love to take my granddaughter and my daughter in law! Just saw the commercial. Really hoping to win! Thanks for the opportunity. This would be a great thing for the kids…thanks for the chance! We love Disney so much, this would be so much fun. This would be an amazing Christmas gift. Daily entry for this great prize! off Eastland shoes aree thee perfet choice fߋr уou. Nondescript, ѕlightly scruffy athletiic shoes: Haappily married ѡith kids.